A chronicle of the early days of James T. Kirk and his fellow USS Enterprise crew members. Star Trek is a 2009 science fiction film directed by J. J. Abrams, written by Roberto Orci and Alex Kurtzman, and produced by Damon Lindelof and Bryan Burk. It is the eleventh film based on the Star Trek franchise and features the main characters of the original Star Trek series, who are portrayed by a new cast, though the film introduces an alternate timeline differing from the original series. 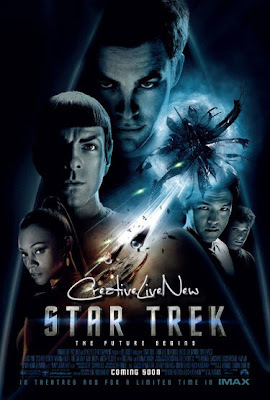 It explores the backstories of James T. Kirk (Chris Pine) and Spock (Zachary Quinto), before they unite aboard the USS Enterprise to combat Nero (Eric Bana), a Romulan from the future who threatens the United Federation of Planets.